I wrapped up my week of fishing today on the Connecticut River. I got there for sunrise and stayed for about 4.5 hours. The temperature was in the single digits so it was nice to punch a bunch of holes to warm up! 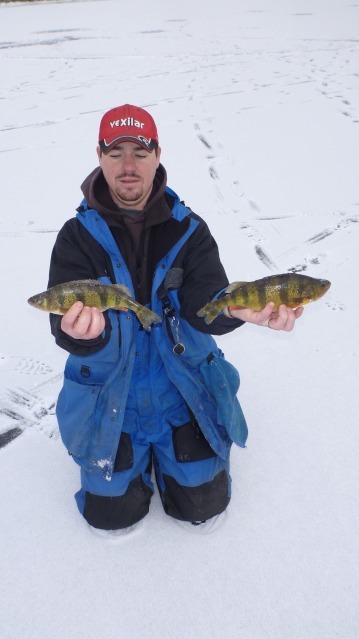 I started off fishing for perch but was unable to locate a decent number of keeper size fish alone. 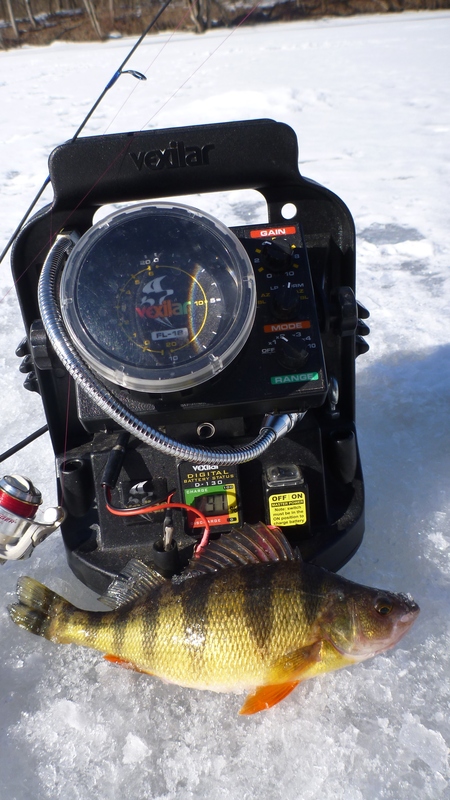 I caught and released five that were 9″+. 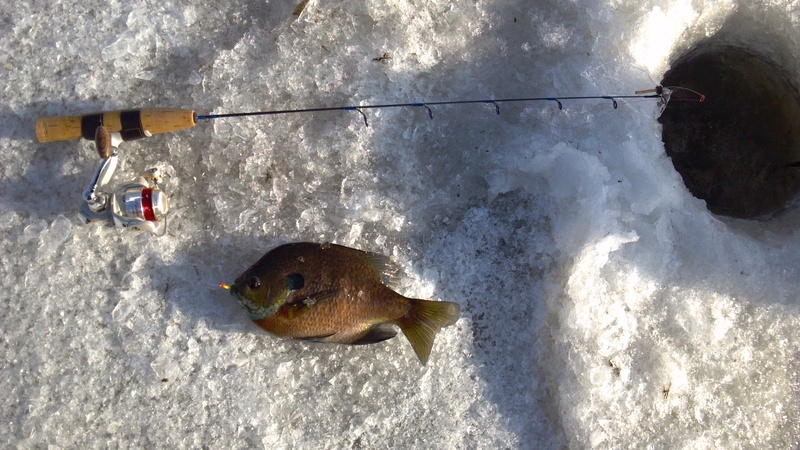 I gave up on the perch and headed shallow for the bluegill and pumpkinseed. After punching a bunch of holes in the new area, I grabbed my Vexilar and started fishing. I caught a decent pumpkinseed in the first hole then nothing till the far end of my series. 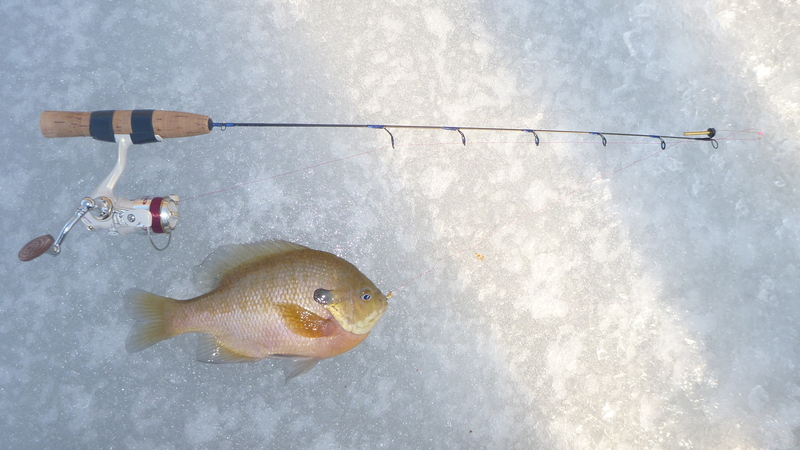 At that end, I found better numbers of fish and they were all bluegill! I had a group of three holes that I fished for about 30 minutes. 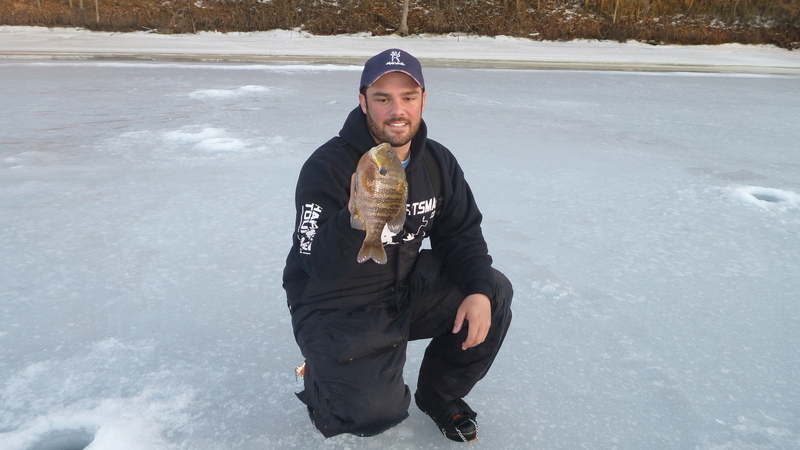 In this time, I pulled a dozen bluegill that were 9.5″ or better along with some smaller fish! After I caught all the gills that were willing to bite, I kept moving . When I got into the channel, I started marking a lot of fish that were suspended. My first bite was an “up bite”. 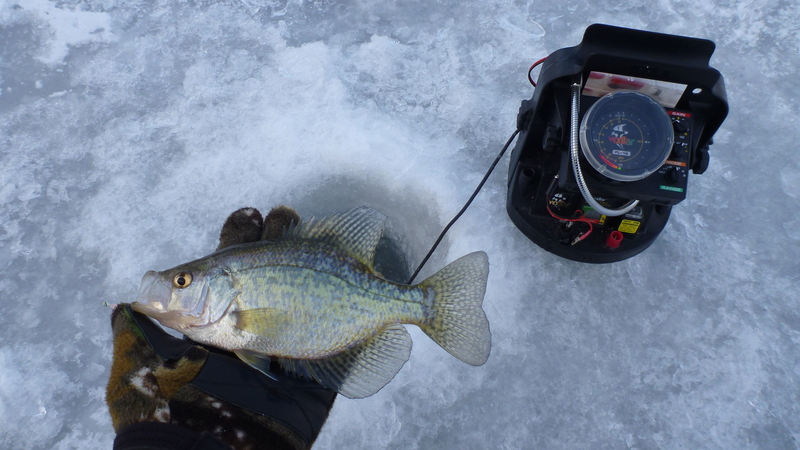 I figured it was a crappie… Wrong! I pulled it up and it was a shiner. A big one at that. Any pike fisherman would be more than happy to have bait like it in their bucket! 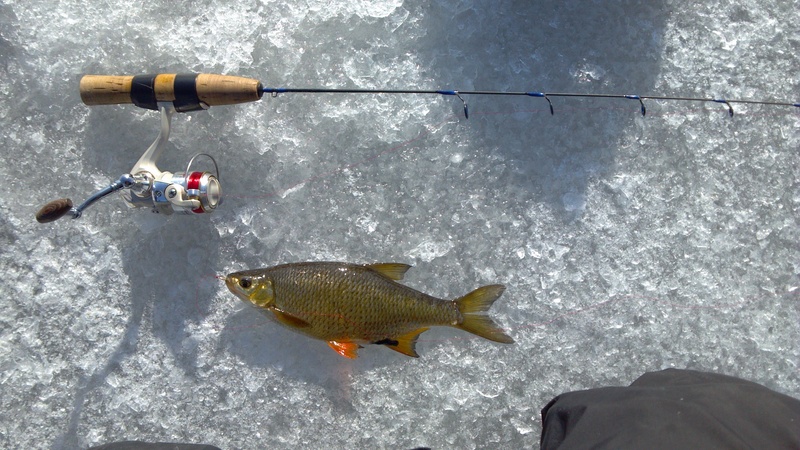 I caught 6 shiners that were all around the same size before I got sick of it and moved on. All my fish today were caught on maggots. I wasn’t catching pumpkinseed so I wasn’t getting my bait ripped off that often. The fish were holding tight to the bottom but were willing to charge up level to the top of the weeds. When they did bite they hit it hard so hook ups were no issue. Great day to be on the water… The sun was shining and there was no wind at all. I got a nice winter time tan to top it all off! I did some math this afternoon and found out that I fished more than I work. I guess that’s a good thing! I fished for 50 hours and spent 15+ hours in the car traveling. Overall, I was on the road for around 660 miles.